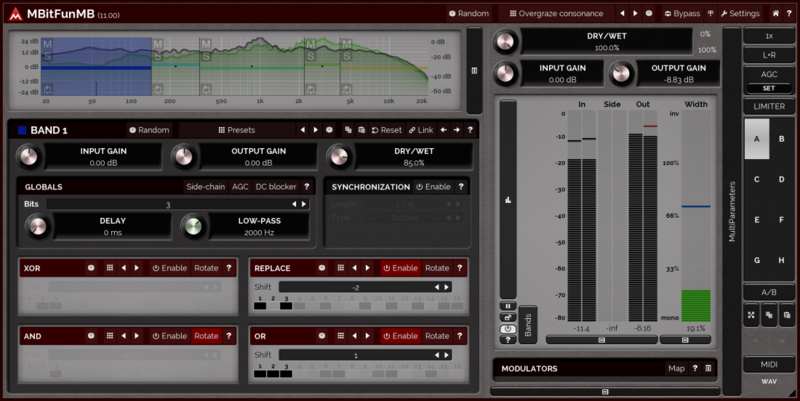 MBitFunMB is a serious tool for extreme distortion lovers. It converts the incoming audio into limited fixed-point precision data of 1-16 bits per sample and lets you access each bit with several bit-manipulation operations and finishes the processing with a low-pass filter. All with up to 6 independent frequency bands, 4 modulators.. Looking for a little extra variation in your sound? Look no further than MMultiBandBitFun extensive modulation options. 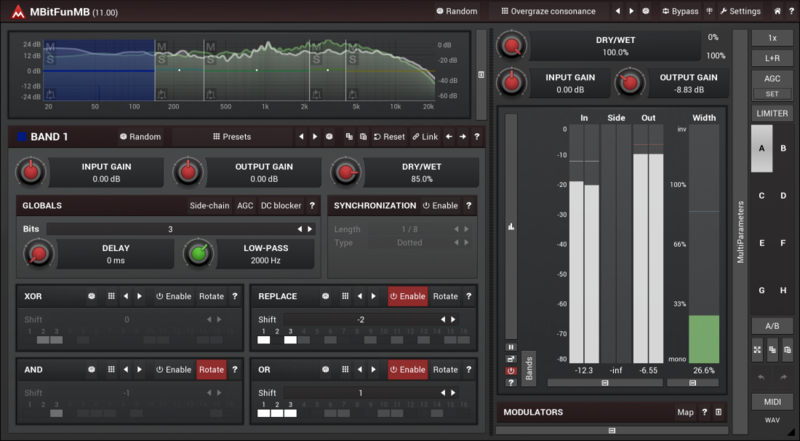 Modulate any parameter from sources such as an LFO, audio level follower, envelope generator, randomize, or pitch detector. Your sound will never be static again.